"LE PROFIL NUMERIQUE" manufactures carbide inserts by profiling, mostly for the wood industry. With 15 years of existence, we now have more than 25,000 references in our technical library. 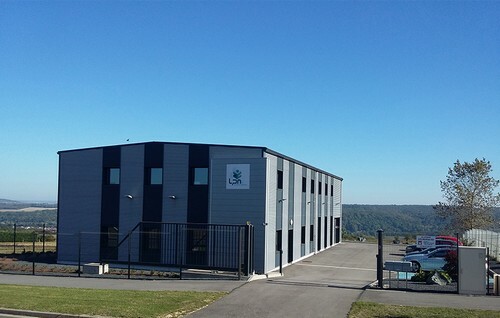 Located in the North East of France near Nancy, LE PROFIL NUMERIQUE has a production unit at the cutting edge of profiling technology. Our production tool was further enriched by a new machine in December 2017. Thanks to our production unit and our organisation, we offer a great flexibility of production and an excellent reactivity to answer your needs in terms of quality as in term of deadlines on small or average series. These strengths allow us to offer you compatible products to the tools used in the woodworking industry while offering you very competitive prices. A very strong team spirit based on the respect of our customers, our commitment, our organisation, as well as the passion which animates us and allows us to bring in the daily; availability, quality and speed of execution. These values have only one purpose : To satisfy you.